Nano Shift is a Virtual Reality puzzle mystery game set slightly in the future during the struggle against an invasive Nano Virus that has reduced a large part of the earth's surface to an uninhabitable wasteland. Nano Shift will take you on a search through time for traces of who or what released the Nano Virus that wiped out 80% of the Earth’s population. The Harvest as they sometimes called it. Your story begins in a gritty underground compound as volunteer #137, moments before you are requested for duty. Your journey will take you more than half a century in the past, to when humans could still safely walk the surface. To see through the deception and solve the mystery behind Nano Shift you'll need sharp wits, a keen eye, and a little help from a few friends. 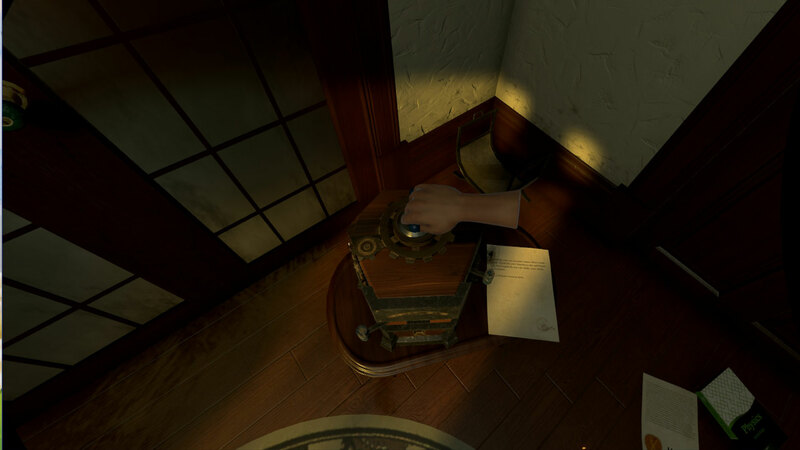 Gameplay is a puzzle mystery mixed with exploration elements. With rich environmental storytelling, full 360 degree sound, and a fully interactive world, Nano Shift brings a truly immersive experience that is unique to Room-Scale VR. This game is broken up into chapters, with the first full chapter currently included and available to play. Two more chapters are in the works and will be released as they are finished. The price of this game will increase as more chapters are added. We're in early access and still have some kinks to work out, but it's quite stable and offers approximately an hour, to hour and a half, of play time. - Rich and detailed environments. - Puzzles and interactions built for tracked motion controllers. - Teleporting not required. In fact it’s not even recommended! (unless your play space is under the minimum Room-Scale measurements of 2.8m x 2.8m). - Lots of logical and dexterity puzzles. - Graphic and control settings options. - Floor height adjustment setting (especially useful when letting a taller, or shorter, friend have a play session).